With breathtaking views of the Indian Ocean and Kwa Zulu Natal’s North and South Coast, this modern, 4 star hotel boasting 136 bedrooms are situated on the ridge of the popular corporate and leisure Umhlanga Rocks. All our rooms offer either full sea view or partial sea views and magnificent views of the surroundings. A number of small, medium and large conference and event venues are available and our experienced banqueting team will assist you in planning your next conference, function or wedding. The SAERA 2014 Conference takes place at the Southern Sun Elangeni Hotel in Durban from Wednesday, 13 August 2014 to Friday, 15 August 2014. The pre-conference workshops for research development will take place on Tuesday, 12 August 2014. The topic of the conference will be to investigate the current position of education research in South Africa, and looking ahead to the future directions that research may take. Education research in the past twenty years has relied on a variety of education policies and the carrying out of these policies. Research tends to be qualitative and small scale in nature, although a rising importance on the analysis of large achievement studies in teaching has been seen. SAERA envisages that the conference would provide a platform to reflect on the nature, the idea and the role of education studies at present, and to look forward to new methodological and theoretical trends in the area. The conference will connect with all contexts of research – Higher Education, Training and Further Education, adult education, informal education and schooling. 5th International Conference on Education and Information Management is hosted by the Durban University of Technology on the 21st and 22nd of June 2014. Conference aims to provide a platform to academicians, scholars, business managers and practitioners to share their valuable experience and knowledge with each other. The goal of the event is to bring closer people from the business and academia world so that they can share the latest developments in the fields of information management, education, computing, business, economics, technology and development studies. The First Africa Photovoltaic Solar Energy Exhibition and Conference will take place from the 27th to the 29th of March 2014 in Durban, South Africa. Solar Photovoltaic Electricity is an essential source of energy to meet the rapidly growing demand of energy in Africa, which can not be met by traditional sources alone. AfricaPVSEC is a new initiative partnering SNEC, EU and PVSEC for exchange and promotion in the photovoltaic solar energy sector to bring together leading public authorities, experts, , NGOs researchers, representatives of international organizations, donors. The conference will be held at the International Convention Centre in Durban which is a world class conference facility. Versatility and flexibility are the main factors in the design of this state-of-the-art technology-driven centre. The first Africa PVSEC highlights the fact that there is not only a rapidly growing African scientific community in the area of solar photovoltaic power generation but that the installation of solar photovoltaic electricity generation systems is accelerating in many African countries. Africa PVSEC is aimed as an international platform to discuss and offer the latest scientific results as well as to network amongst each other and increase the visibility towards policy and manufacturing stakeholders. For this reason, the conference programme has three main topics, which cover the wide spectrum of photovoltaics ranging from fundamental material research to business and policy assessments. A Power Tool for Economic and Social Growth. Join more than 30 Key and Global IP Leaders in an open forum discussion on how to stimulate domestic inventions to spur economic and social development at the Southern Sun Elangeni Hotel in Durban on 17 – 20 November. This event follows on from a successful summit of BRICS heads of Patent Offices in May 2013. The focus of the Boot Camps is undoubtedly for technology-oriented entrepreneurs and companies but does not focus on a particular sector such as IT, advanced materials or biotechnology. The format will be a combination of lecturing, panel discussion, case studies, discussion and, possibly, presentations by local entrepreneurs seeking peer review of their ideas. Participants will receive hundreds of slides in soft copy, and a bibliography of recommended readings. Boot Camps are often described by participants as “drinking from a fire hose” but the intensity of the knowledge flow is an effective way of garnering insights and gathering awareness of where additional knowledge and experience are needed before venturing forth into the world of technology entrepreneurship. The African Organisation for Research and Training in Cancer will hold the International Conference on Cancer in Africa from 21-24 November 2013 at the International Convention Centre Durban. AORTIC’s 9th International Cancer Conference entitled “Cancer in Africa: Bridging Science and Humanity” is held every two years and provides a unique platform to bring together leading global and African health care professionals. Set in the vibrant city of Durban, located on the East Coast of the KwaZulu-Natal Province of South Africa, the conference aims to build on the strong scientific foundations established through previous AORTIC conferences and will provide a scientific programme covering a diverse range of topics related to cancer control in Africa. The aim is to provide attendees with different tools that can be implemented in resourceful ways. Under the theme “Cancer in Africa: Bridging Science and Humanity”, topics discussed at the AORTIC 2013 conference will include cutting edge cancer care and basic science and clinical research on cancers related to Africa. This includes the following: National Cancer Control Plans (NCCPs), Cancer Registration, Basic Sciences, Genetics, Epigenetics, Site-specific Cancers, Biomarkers, Novel Therapies, Radiation, Chemotherapy, Epidemiology, Diagnostic Support Services, Ethics and Good Clinical Practice, HIV-AIDS-related cancers, Palliative Care and Oncology Nursing. The conference will consist of a combination of “Meet the Experts” breakfast sessions, interactive workshops, industry symposia, plenary sessions and free communications of research performed in Africa and internationally. Speakers are drawn from across the globe representing a high level of expertise in the field of oncology. The official languages of the conference are English and French, and simultaneous interpretation will be provided in the two plenary venues. The WASME 19th annual International Conference on SMEs will be held under the theme: “Beyond the downturn-Revitalising the global economy through small and medium enterprises” and will examine SME policies and support programmes. The Conference will be held at the Inkosi Albert Luthuli International Convention Centre in Durban, 18th to 21st September, 2013. The World Association for Small and Medium Enterprises’ (WASME) annual International Conference on Small and Medium Enterprise development (ICSME) is a prestigious annual event, which brings together under one roof business support organisations, policy makers, banks and financial institutions, international experts, academics, entrepreneurs, UN and other international and multi-national aid agencies involved in small business development. Ashish J Thakkar, founder of Mara Group, will feature as headline speaker at the 19th WASME International Conference on SMEs. Billed as Africa’s youngest billionaire (a title he eschews) and named by the World Economic Forum as a Young Global Leader, Ashish is a serial entrepreneur who started his first business at the age of 15 years. Today Mara Group operates in 26 countries, employing 7,000 people. Leading policymakers, experts and entrepreneurs from around the world will present their views and ideas on the above topics and more. Breakaway sessions will discuss each topic in-depth and formulate proposals to inform current and future policy and practice in each of these areas around the world. ICSME 2013 features leading speakers from around the world, including government Ministers and policymakers, SME promotion practitioners, experts and entrepreneurs themselves. Please check here regularly for speaker profiles, which will be updated continually as invited speakers confirm. Attendees from around the globe are set to converge at the Durban International Convention Center in Durban, South Africa for the World Soybean Research Conference IX, which will take place February 17 to 22, 2013. 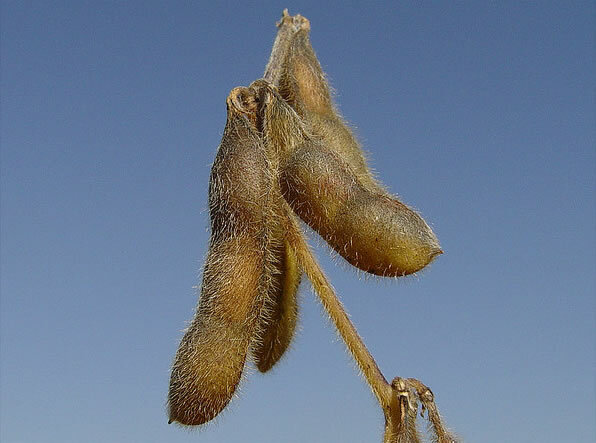 Hosted by the Oil and Protein Seeds Development Trust and the Protein Research Foundation, and organized by Paragon Conventions Africa, this five day conference is the leading international event on soybean research. This event provides an international forum for the world’s soybean researchers to exchange information and research findings across all segments of the soybean industry. The World Soybean Research Conference (WSRC) will include both a technical programme and a trade show that showcases all aspects of the industry including soybean seed; fat and oil products; drinks and foods; animal feed; soybean fiber products; biotech; processing equipment and more. This year’s theme of “From China to Africa – Can research close the gap between soy production and increasing global demand?”, will feature various topics in both plenary and concurrent break out sessions, including food security; sustainability; nutrition and health; breeding and genetics; processing; applications; agronomy; storage and transportation as well as an overview of commodity markets. Under the direction of the organizing committee, participants will hear from researchers, farmers and industry leaders as they explore the entire soy value chain from processing and growing soybeans to transporting, marketing and using soybean products. WSRC promises excellent opportunities for attendees to network with and learn from leading soybean producers, processors and companies representing the food, feed and ingredient sectors. Optional tours and events, such as a soybean farm tour, a game reserve safari, and exploration of the beautiful Drakenberg mountains will round out the weeklong event and provide an opportunity to explore the ancient beauty of Africa’s countryside.